The blog “Dab of Darkness” just posted an insightful and in-depth review of my novel Lightning Wolves. Drop by and take a look. Susan, who runs the blog, regularly posts reviews of interesting books and interviews with authors. I follow her blog regularly and am honored that she enjoyed my latest steampunk offering! 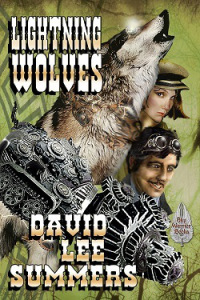 Her review is at: Lightning Wolves by David Lee Summers. You can find all the places the book is available by visiting: http://www.davidleesummers.com/lightning_wolves.html.